I once had a colleague who had just returned to the United States after working in Costa Rica for five years. He was an excellent employee except for one issue in particular. He was never on time for anything. If work started at 8:00, he showed up at 8:30. If we had a meeting at 3:00, he showed up at 3:15. He certainly wasn’t doing it to be rude, he’d simply become acclimated to the more laid-back Costa Rican schedule. Eventually, he was able to get back on the regular U.S. “if you’re not early, you’re late” schedule, but it took some time. I bring this up as only one small example of the fact that different cultures have different expectations of employees, and if anyone lives in a country long enough, they’re sure to align themselves with the common and accepted practices of their new culture. While that’s usually a good thing, it can be disastrous when a culture comes in direct contradiction to the Foreign Corrupt Practices Act (FCPA). Something like punctuality may cause some mild workplace disturbances when different cultural norms clash, but there are other, far more severe consequences for particular practices that companies need to be vigilant about, and bribery is one of them. Even the best employee can stray when working in a culture that embraces graft. Keeping those employees in compliance with the FCPA requires taking a hands-on approach through regular assessments and the use of unique vetting technology like Remote Risk Assessment (RRA) from the very outset. The Foreign Corrupt Practices Act sets forth very strict guidelines for what international employees are allowed to do when working with government officials overseas. Sometimes, however, certain cultural practices come into direct opposition with these FCPA guidelines, and the issues become less cut-and-dried. 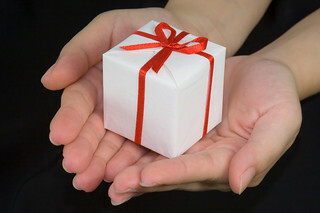 For example, it is common and almost expected in Chinese culture to exchange gifts with people you do business with. It’s not so much a matter of bribery, but rather one of respect and consideration. There are times, however, when culturally-appropriate gift giving can grow into something more. The line between gifts and bribes can be easily blurred—and easily violated. This is especially true when the culture at a specific company makes it common to give expensive gifts, even when someone familiar with the FCPA knows that may not be allowed. It’s an “everybody does it” mentality that can lead to an effect called social proof. A psychological phenomenon, social proof involves people assuming the behavior of others in an attempt to reflect correct behavior. People are more likely to behave in a way that appears correct to the people they see every single day than they are to align themselves with a set of policies created in a country thousands of miles away. Expatriate employees are particularly vulnerable to this. They want to fit into the culture they are now a part of and because of this, they might engage in activities they know are wrong back home. This is often simply because in the new culture, it’s not a big deal—it may even be expected. But when it comes to the FCPA, “Everybody does it” is no defense. Consider the case of GlaxoSmithKline, a UK pharmaceutical company with an affiliate branch in China. From 2010 to 2013, marketing representatives from the office took medical providers out to events, gave gifts and even paid for trips to various medical conferences. These expenses were all recorded in the company’s books as business expenses and people at all levels of management in the company were involved. When it all came to light, the company was initially ordered to pay a $490 million fine, which was later settled for $20 million. GSK’s case wasn’t confined to a few employees, but had become part of the culture at the company. While the company had yearly compliance and ethics meetings regarding the dangers of graft, many didn’t see the difference between the culture of gift giving and outright bribing of individuals for business opportunities. The company is now going through remediation, which requires training on such issues, but may have avoided these problems entirely had it done regular compliance training and testing on employees using RRA technology. Keeping international employees in compliance means having regular training and assessments to ensure that training is working. However, many companies that choose to go this route tend to focus on the least costly way to do it. Yearly compliance testing may become nothing more than a quick video along with the employee signing a contract to behave ethically. These methods are not deterrents to employees working in offices in countries where graft is commonplace. These trainings and assessments may be nothing more than lip-service. That’s why employers need to be able to accurately gauge how well these compliance lessons are actually working and get a sense of the employee’s emotional reaction to ethical questions. When employees take compliance tests, they aren’t going to give the answers that they truly believe. They’re going to give the answers that they know are right. So, if after compliance training they’re asked, “Should you give an expensive gift to a government official to secure a contract?” they’re going to answer “no” because that’s clearly the desired response. But in reality, they would give a gift to someone to secure a contract. They know technically it is wrong, but emotionally, they believe it’s culturally acceptable. Using RRA, that compliance test becomes not just a test of knowledge regarding what’s right under the FCPA. It also becomes a test of what the employee has actually done (yet has hidden or has yet to be caught). A sample question in the RRA automated interview might be, for instance, “Have you ever given a gift greater than $X in value to a client?” The employee can take an automated interview over the phone, in under ten minutes, using simple “yes” or “no” answers, with greater than 96% accuracy. Answers are analyzed using proprietary signals and a risk rating generated, from Low Risk, through Average and Potential, to High Risk. This can be a valuable tool for expats working in markets where gifting and even graft has become a pervasive part of the culture. By using annual or semi-annual testing, the company can gauge whether the employee has been affected by such actions and take appropriate steps to minimize risk. Those steps might mean further training, or even returning the employee to the U.S. rather than leaving them in a culture where they are more likely to become a liability. AC Global offers this unique technology for employees working abroad. This is a cost-effective way to measure the level of risk in a foreign market and eliminate it. In addition, these assessments can be deployed on a mass basis, allowing thousands of employees to be screened at once and returning objective results which can show employers exactly where their highest risks abroad lie. For more information on using RRA in abroad employee assessments, contact us.